Experience an overnight journey aboard the Indian Pacific from the comfort of your private cabin. Overnight at the 5 star Hilton Adelaide. Let the world go by as you cruise the Southern states & Tasmania aboard the Sea Princess. 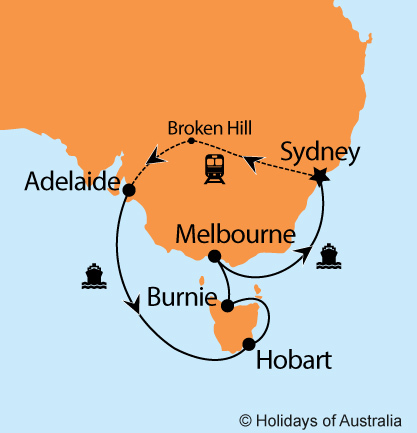 6 night cruise aboard Sea Princess cruising from Adelaide to Sydney with port calls in Hobart, Burnie, and Melbourne. Includes on board meals and entertainment.